I keep seeing these wraps on Pinterest. They always look so inviting, so clean. 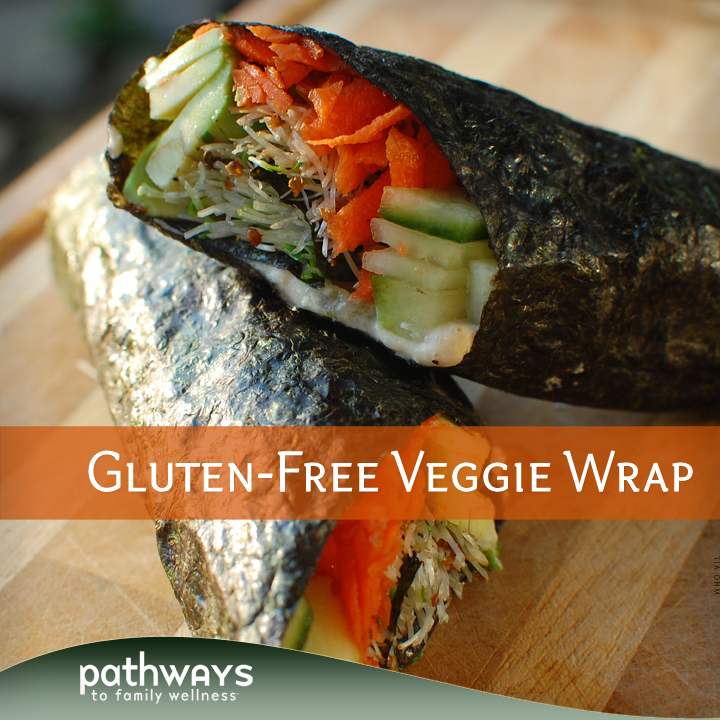 Finally a gluten-free version of a wrap that includes all your favorite ingredients! We had to try it. It was fun and flavorful; versatile and inviting. Try making it with your own personal favorites. 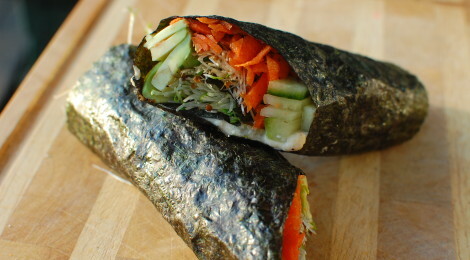 Mediterranean inspired and Asian wraps are a good place to start. Add things like olives, tomatoes, feta and peppers; or tofu, green onions, spinach, etc. Have fun with it and enjoy! See our version of this wrap and adapt as you like. 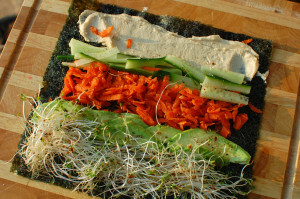 Lay out your seaweed sheet and begin adding your ingredients. Start with your hummus and spread across the top of the sheet. Then add cucumber, avocado, carrots and sprouts respectively. Add salt and pepper and roll up tightly so that the hummus is the last part rolled and sticks to your seaweed. Note: if you store this in a sealed container, the seaweed will get a bit soggy. It’s best eaten immediately or stored for a short period in a container that is not fully sealed like tin foil.